C# is an object oriented language available in the Microsoft Visual Studio Suite. Its syntax is almost similar to Java. C# is intended to be simple, modern, object oriented programming language. C# is based on C++ and contains features similar to those of Java. This project is based on the C#. 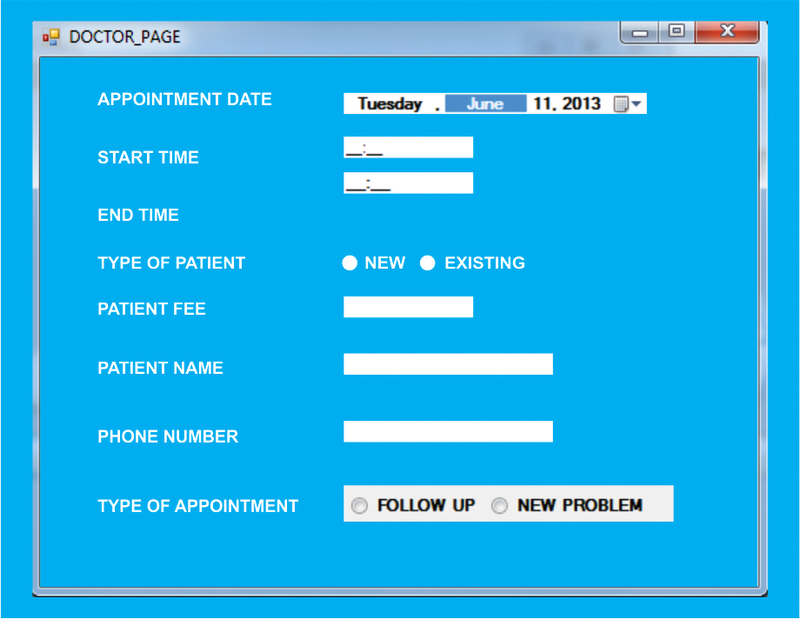 The project is about the management system for the doctor. The database we have used is MS SQL. To use this application the administrator has to feed different fields as can be viewed in the screen shot. After all the data is fed the database at the back end gets updated. The start time and and time we have used is of the type string with format function used.